Are AP exams or SAT Subject Tests in your child’s future? February is almost over and Spring is around the corner, which means AP exams are coming up for many of our high school students. Here’s the what, when, where, and why to AP exams (oh, and some stuff about SAT Subject Tests too!). You can also find info on scoring, preparation, and how much AP exams overlap with SAT Subject Tests. Advanced Placement exams (often referred to as “AP” exams) are three-hour tests given by the College Board (yep, same company that administers the SATs and the SAT Subject Tests). Students can earn college credit for scoring well on these exams, and the AP curriculum is meant to provide students with college-level coursework in high school. Most students sitting for AP exams have taken corresponding AP courses, but that’s not a requirement (more in the why section on that). The format of each exam is different, though in general your child can count on essays, short and long answers, as well as multiple choice questions. Find individual test dates here on the College Board's AP exam calendar! Most kids are juniors or seniors when they sit for AP exams (of course colleges won't see senior scores on a transcript, but they do count for college credit! ), though occasionally sophomores sit for one. AP exams are not technically used for college admissions (like SATs, ACTs and SAT Subject Tests), but that doesn’t mean they aren’t important. For kids at schools that offer AP courses (Sacred Heart or Horace Mann to name two), taking AP courses is an important way to demonstrate a rigorous course load to colleges (via high school transcripts). These kids almost always sit for corresponding AP exams in May, with strong scores going to colleges. Some students do not attend schools with AP courses (Spence, for example) but still choose to sit for AP exams, either to earn college credit or to add more top scores to their transcript. Many of our students feel prepared for the AP Literature, for example, without taking a course that is technically an AP course. Others prep for the AP Biology or AP French because their skills in those areas mean only a little extra prep. Still others never sit for an AP test at all and just send stellar grades and SATs or ACTs (and sometimes SAT Subject Tests - more on those here). AP exams are scored on a 1-5 scale, and most students send scores of 4s and 5s to colleges. Colleges vary widely in terms of what they accept for college credit, but many will give credit for scores in the same range (4s and 5s). Students are not obligated to send scores to colleges, though admissions officers often expect to see AP scores accompanying AP courses. How much do students prepare? Preparation varies from student to student depending on how much practice a student is receiving at school. Most AP courses prepare students well for the corresponding exams, but some students still like to polish and perfect with our help. Other kids have little to no exposure and do more intensive work outside of school in February, March and April. How similar are AP exams to SAT subject tests? Some AP exams have a lot of overlap with the SAT Subject Tests of the same topic and others do not. Even those with a lot of overlap (see below) are different in structure, length and emphasis, so do not count on your child being ready for a June SAT Subject Test just because they are ready for an AP exam. 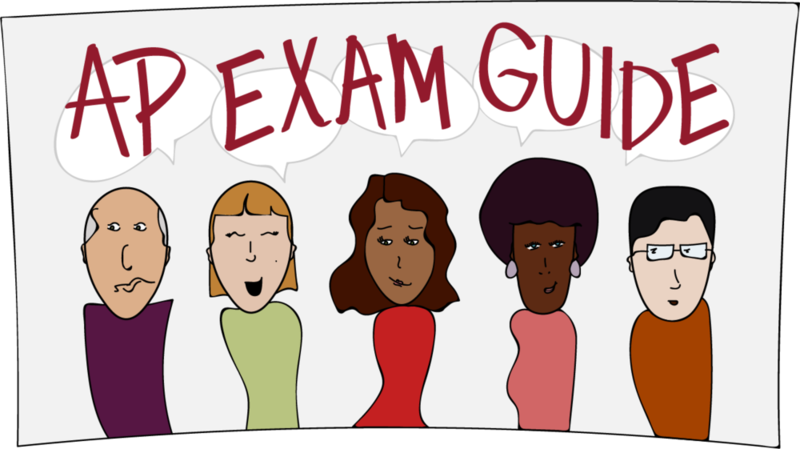 We know this is a lot of information, and we hope you’ll use it as a reference guide as you talk to your child about AP exams. In the meantime, let’s schedule a phone call so that I can answer all of your AP questions and make sure we have a customized plan for the spring. Email us to connect to a program director or give us a ring at 646.638.3504.